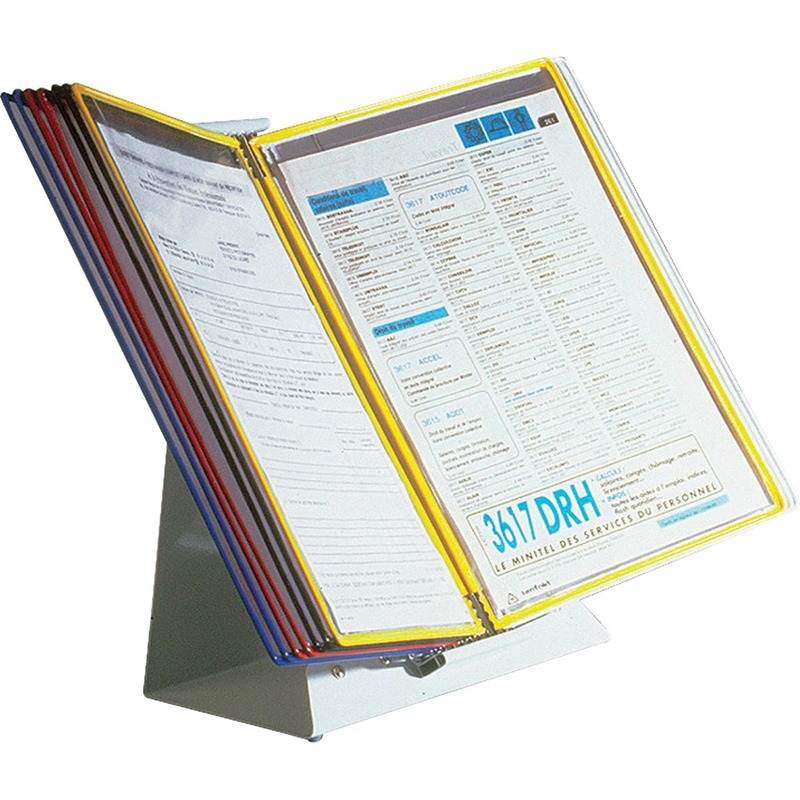 Use the Design Desk Stand everywhere information must be in a prominent position for immediate access, including desks, counters, offices, receptions, lobbies and waiting rooms. 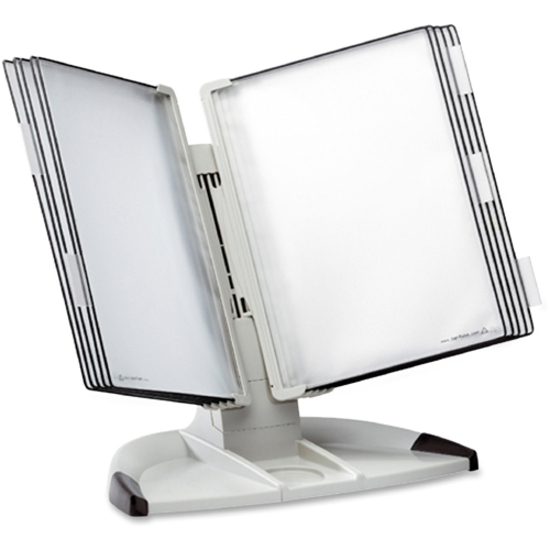 Contemporary-style stand is easy to set up with no tools required. 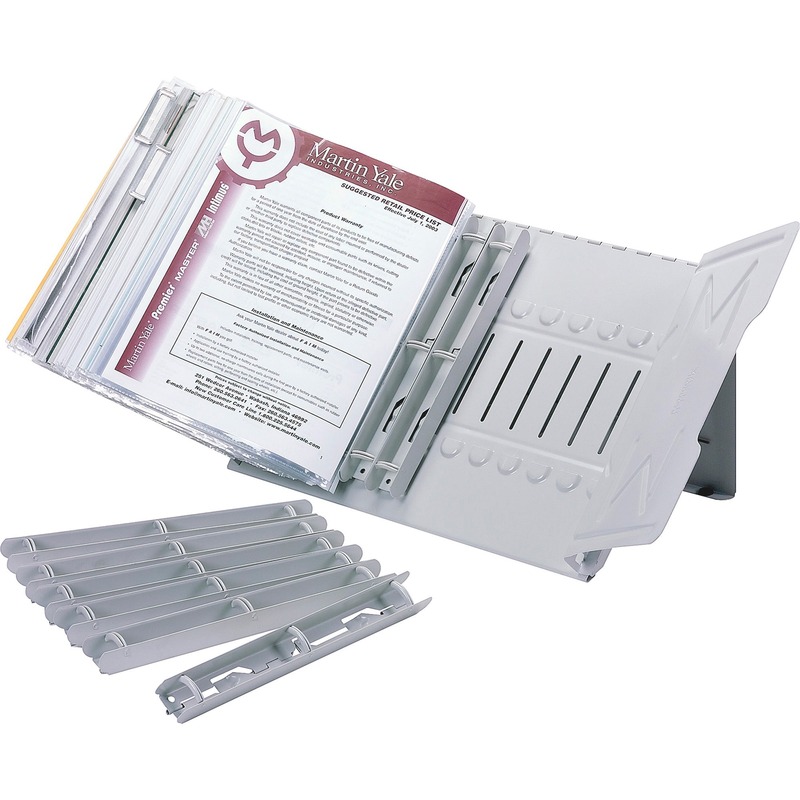 Multifunctional base turned forward provides storage areas for cell phones, pens, paper clips, self-adhesive note and other small office supplies. 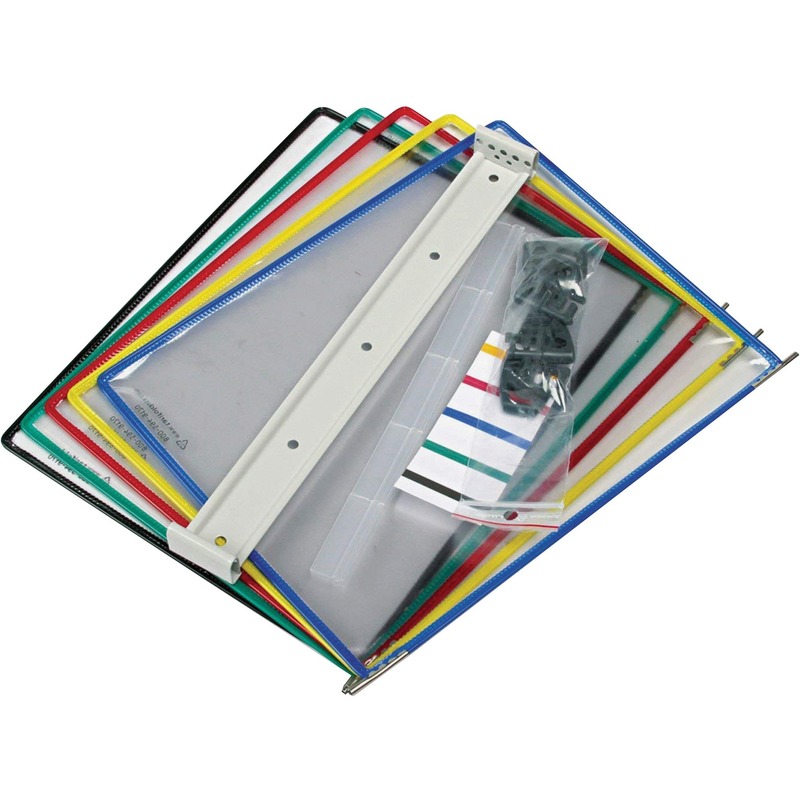 Included, 10 wire-reinforced, polypropylene pockets provide strong protection for your documents against dirt, spills and dust, even with intensive use. 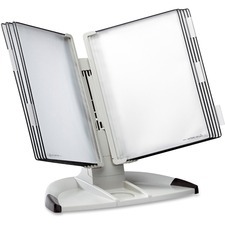 10 two-sided pockets offer a 20-sheet capacity. Letter-size pockets remove easily for copying. Display system can be expanded to 20 or 30 pockets by simply installing one or two additional Tarifold Wall-mounted/Expansion Units. 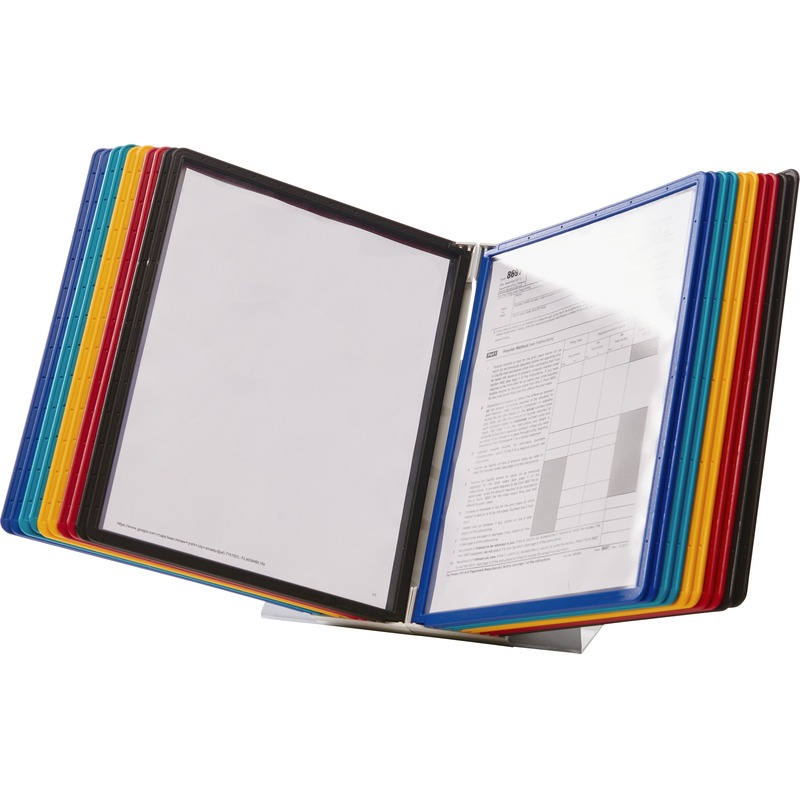 Or you can expand it as much as you need in units of 10 pockets using Tarifold Desktop Extension Set. Desk Stand includes snap-on index tabs.